Veggie Lo Mein | eat. drink. be merie. I don’t know about you, but I looooooooooove Chinese food. My bank account, on the other hand, does not. Ordering in is great of you are really swamped or need to cure that midnight craving after a night of playing drinking jenga. I definitely have a go-to drawer full of take-out menus that have held me through. But recently, I’ve been trying my hand in Asian-inspired cuisine. 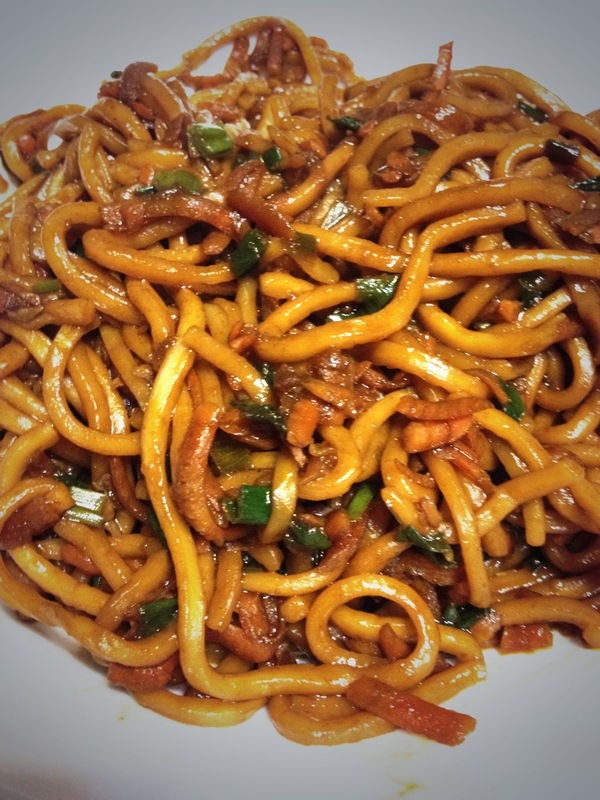 My favourite Asian staple dish is definitely noodles; lo mein, chow mein, Udon noodles, pad Thai, you name it! 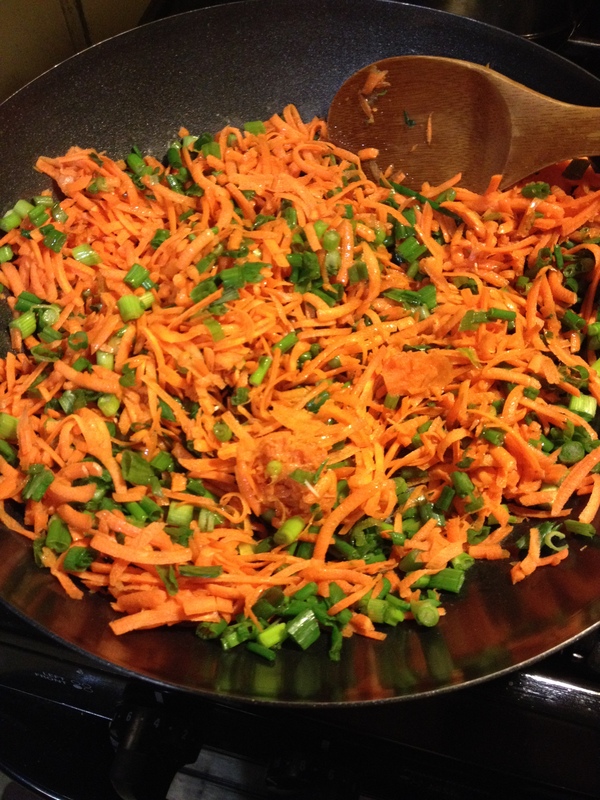 Today, I am going to share with you my own recipe for Vegatable Lo Mein. The noodles literally cost 99 cents for a pound! So just add some veggies and sauce and you’re in for some delicious (and affordable!) eats. Cook your lo mein noodles. Generally these don’t take long at all and cook faster than normal pasta would. There should be directions on the packaging, but I will tell you how I cook mine. Bring a large pot of water to a boil. Add noodles and simmer for 5-7 minutes until tender. Drain and rinse with cool water. 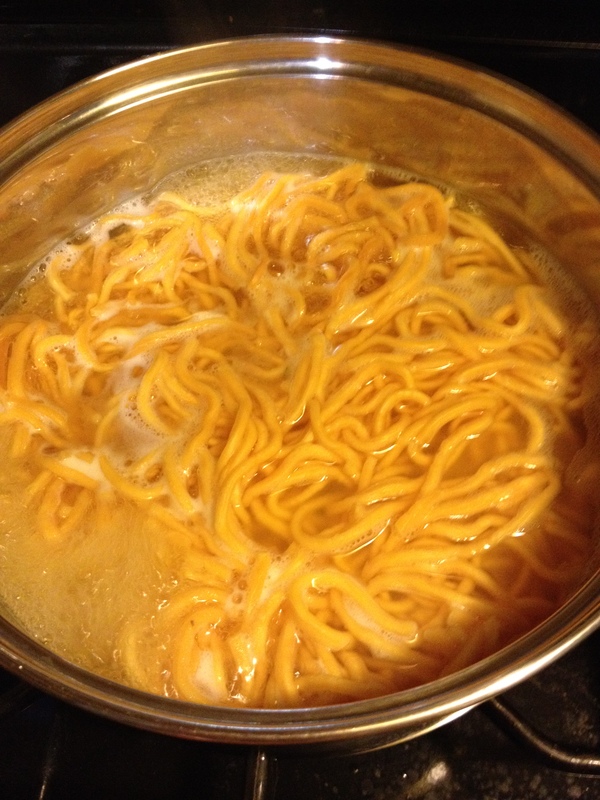 Mix with a splash of vegetable oil or sesame oil so the noodles don’t stick together. Set aside. Chop your onions. Discard the bottom white bulb-y parts. 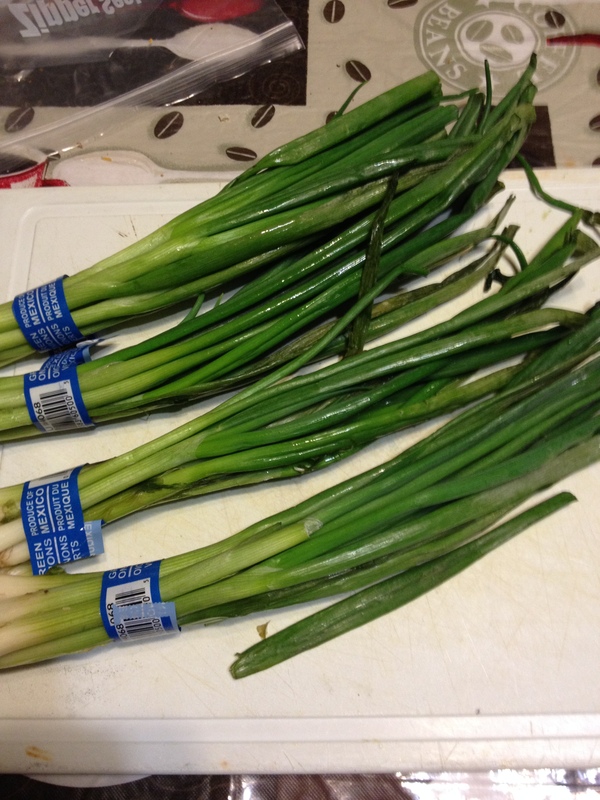 Four bunches may seem like a lot, but they really cook down. If you feel like you are good enough at chopping fast without losing any fingers, this can be done while your noodles are cooking. Shred those carrots! 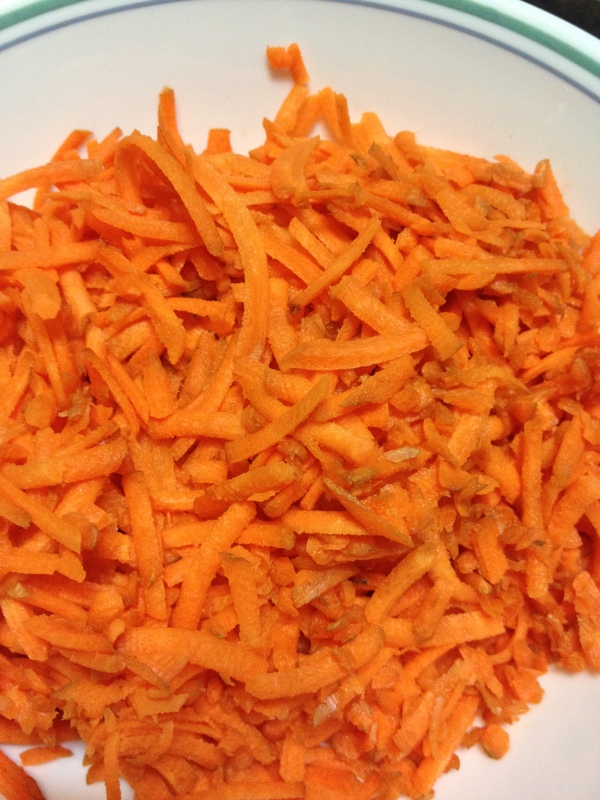 I used the food processor which gets them shredded in no time at all, but if you don’t have one, you can also use a handheld vegetable shredder to get the job done. Mix together all the ingredients needed for the sauce in a medium sized bowl, enjoy the sent of that ginger as you stir, and set aside. Get out a big ol’ WOK! Heat up a tablespoon of sesame oil. Add your onions and carrots and keep the heat on medium for just about 4 minutes. Crank up that heat to HIGH and add those noodles. They can’t wait to join your veggies in this wok party! Next, add the vegetable stock and cook for about 3-4 minutes or until most of the stock is absorbed. Add your tantalizing sauce to the noodles, mix, and cook on low for about 5 minutes. As delicious as this is, there are many ways you could change it up a bit. Add any other veggies you like. I think next time I’ll add bean sprouts and broccoli. Add some spice. Add some meat or tofu. Experiment with different noodles. The possibilities are endless! I’d love to know if you have decided to try this and what you thought of it! Any changes you would make? Questions? Comment or e-mail me at rianna.merie@gmail.com.